Enable practitioners to apply basic knowledge from augmented cognition, brain-computer interface, neuroergonomics, and cognitive neuroscience to achieve more effective human-systems integration in the tools and systems that they develop. This tutorial will walk participants through the needs for augmented cognition, the historical programs that addressed similar issues, the scientific developments necessary to create optimal systems, the sensors necessary, and lessons learned regarding integration into existing and new applications. The tutorial will provide those working in the broad domains of Human Factors, Industrial Engineering, System Design, and Human-Computer-Interface with a synopsis of key findings and theoretical advances from augmented cognition, neuroergonomics, brain-computer interface, cognitive neuroscience and related fields that have direct bearing upon their profession. Augmented cognition based systems (that sense a multitude of brain states, combined with other behavior and modeling techniques) adapt to users in real time, providing a true symbiosis between the human and computational systems. This tutorial will assist the participate in understanding how to better select and integrate brain sensors, design adaptive strategies to enhance human performance and it will provide an introduction to the field of augmented cognition Topics covered in the tutorial will include: brain sensors and measures, sensor integration to characterize cognitive state, mitigations for improving performance, evaluation methodology, performance metrics and practical considerations for developing applications. The tutorial will address factors contributing to effective engineering systems design and management. Through discussion of approaches, participants will be provided the knowledge to be thoughtful consumers of augmented cognition research. Finally, the tutorial will summarize developments in operational neuroscience, neuroergonomics, and brain-computer interface, and the use of 21 century human factors design principals, methods, tools and technologies to develop computational applications, software and systems employing 21st center human computer symbiosis. The tutorial should be of broad interest to those practitioners and academics working in Human Factors, Human-Computer Interaction, Brain-Computer Interface, Ergonomics or related fields. The tutorial requires no previous knowledge and is appropriate for individuals ranging from beginner to expert. Dylan Schmorrow (PhD) is the Chief Scientist at Soar Technology, Inc. where he is working to advance and apply artificial intelligence technologies in order to make people more prepared, more informed and more capable. Dr. Schmorrow holds a doctorate in Experimental Psychology from Western Michigan University, as well as four Masters Degrees in areas including Operations Research and Modeling and Simulation. He recently retired as a U.S. Navy Captain after 20 years of service where he was the U.S. National Leader for DoD's international participation involving the human sciences to enhance the human contribution to military systems performance. He founded and led the field of Augmented Cognition while serving as a Program Manager at the Defense Advanced Research Projects Agency (DARPA). 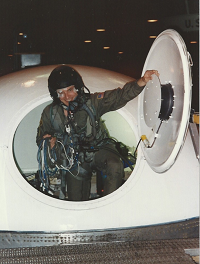 He is a recipient of the Navy's Top Scientists and Engineers Award and has received several professional and military awards for transforming promising technologies into operational capabilities.